With over 40,000 exceptionally talented employees in more than 55 countries and a history of more than 150 years, the company operates across the whole of the oil and gas industry – from production through to refining, processing and distribution of derivative products –and in the mining, clean energy, power generation, pharma, environment and infrastructure markets. We have four business units covering the globe: Americas, NECIS (Northern Europe & CIS), AMEASE (Asia, Middle East, Africa & Southern Europe) and our Global Power Group. 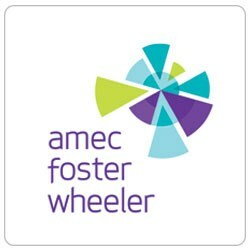 Amec Foster Wheeler Italiana sits within the AMEASE regions, leading a group of subsidiaries located in Paris, Madrid, Istanbul Basel and Antwerp. Amec Foster Wheeler actively recruits talented individuals for opportunities within the oil & gas, mining, clean energy and environment & infrastructure markets. Our unique business offers challenging and rewarding career opportunities around the globe. Our people are our greatest asset, developing full potential is one of our core values which encompasses our culture to invest in our people, to embrace diversity and to connect globally as one team. We are looking for talented graduates in industrial engineering and for experienced professionals with a background in international engineering in the same sectors where we operate. Our aim is to employ enthusiastic,flexible, passionate, self-motivated and results-oriented people willing to join international teams on challenging projects. When you join Amec Foster Wheeler, your career options are vast. You will enjoy a global network of offices and projects, experience new professional practices and cultures, and benefit from an environment that’s creative, ground-breaking and supportive.